62nd National Film Awards were announced in a press conference in New Delhi today (24th March 2015). Kannada actor Vijay bagged Best Actor for ‘Nanu Avanalla Avalu’ (Kannada). 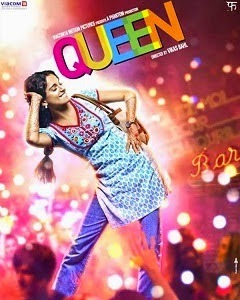 Kangana Ranaut wins the Best Actress Award for her performance in "Queen" (This is Kangana Ranaut’s second National Award, she had bagged the Best Supporting Actress award for ‘Fashion’ in 2008). Chaitanya Tamhane's Marathi film Court has been named the Best Feature Film while Priyanka Chopra-starrer Mary Kom has won the Best Popular Film. what is new to this site ???? ?